I learned about Shintaro “Sam” Asano in an article, “10 Inventions out of MIT That Changed the World.” His inexpensive and portable version of the modern fax machine in 1961 led to MIT naming him one of the top 10 inventors of the 20th century. I read more about him in other publications and made it a mission to interview this tireless, innovative 81-year-old. Asano also invented a version of today’s data tablet, and quite a few other innovations. Edith G. Tolchin: Please tell us about your background, education, and how you became an inventor. Sam Asano: I graduated from Waseda University in Tokyo in 1957 and started to work at Japan’s Radio Regulatory Bureau, Ministry of Posts and Telecommunications. Two years later, I won a Fulbright (all expenses-paid) graduate scholarship and was accepted at MIT (Massachusetts Institute of Technology), where I specialized in image processing technology. EGT: How did the modern, portable fax machine invention come about? SA: Upon earning my master’s degree, I went to work for NASA’s Orbiting Astrophysical Observatory (OAO)―the predecessor of the Hubble Project―and I became the designer of an x-ray-sensitive TV camera to be launched with rockets to observe the x-ray radiation of celestial bodies. In preparing to launch the rocket, I had to converse with launch tower technicians in a very noisy, harried and tense environment. These technicians were all from Huntsville, Alabama, and I had a really hard time understanding their Southern accent. An idea to develop a small and inexpensive fax machine capable of communicating hand-drawn graphics came to my mind. I built prototypes, and they worked. At that time, nobody at NASA thought the idea was worthwhile. I named it the QIX. The first fax machine was invented about the turn of the 20th century. The machine didn’t change its mechanism for a long time. It was very complicated with many motors, precision gears and timing chains. The transmitter and receivers did not use any automatic feedback circuitry. Therefore, it depended on high precision. They were very expensive, not reliable, very large and heavy. The story of why I came across the modern fax machine was in itself a piece of luck, being in the right place at the right time. To make a very long story short, it involved NASA, where I worked at the time. I eliminated all that hideous complexity by using a servo circuit and eliminated all the motors except one. So, I am not the original inventor of the fax. What I developed was a first disruptive product—just like the iPhone by Steve Jobs. I am nowhere as good as he was, though. EGT: What does “disruptive” mean in an inventing context? SA: Many products and systems stay without any changes for decades at a time. Disruptive doesn’t mean new, revolutionary technology. It can be a combination of many conventional technologies. Every once in a while, a product or system pops out and creates an entirely new dimension of uses. As mentioned, my fax machine used servo mechanisms―never before used back then―which resulted in a very simple circuit, and thus was very cheap to make. The initial run cost somewhere between $500 and $800 in 1970, while the conventional fax machines used by the weather bureau and other governmental markets, including military, cost between $10,000 and $13,000 per unit. This created a vast new area of use. The Japanese and Chinese were the first to jump on this product, as their language structure benefited from a fax. EGT: Who handled your patents, then and now? SA: My patent applications were handled by Wolf Greenfield of Boston. Currently, my patent works are being done by Morse, Barnes-Brown & Pendleton, also in Massachusetts. EGT: You also invented a tablet? SA: My data tablet was expandable in size, and our firm used to supply tablets from 11-by-11 inches in size to as large as 48-by-48. Our chief clients were in the fledgling computer graphic field, such as Applicon, which was a General Electric subsidiary, and Kanematsu-Gosho, Ltd., Japanese shipbuilders. EGT: What obstacles, if any, did you overcome with your inventions? SA: In all cases of my inventions, it was I who stood between the thought and execution. Brooding, instead of just doing it, is often the largest obstacle. “Just do it,” like Nike would say. EGT: Have you licensed any inventions? SA: The Japanese government’s phone company, Nippon Telegraph & Telephone Public Ltd., became my first licensee for the fax machine. They took everything to Tokyo to license several Japanese manufacturers in turn. This was 1971, and Japan soon captured 100 percent of the fax market share based on my design, plus their improvement work. EGT: Did you manufacture any inventions on your own? SA: My company, Shintron Company, Inc., became my manufacturing base. It had a wide range of image processing equipment for the TV broadcasting industry, and at one time it was the largest supplier of small production switchers at small TV stations worldwide. All of my products have been manufactured by my own companies: Shintron Company, Inc. (sold to Mitsubishi Electric Ltd.), America Takeout, Inc. and Cablynx. Inc.
EGT: You are quite emphatic about bringing back manufacturing to the U.S. How do you encourage this? SA: I have been working hard to attempt to create the “American Renaissance,” or return of America as the top manufacturer of the world, like it was in the 1950s through the 1970s. I encourage inventing among youth by lecturing and writing a weekly newspaper column in the New Hampshire Union Leader called, “Let’s Invent.” I teach classes in inventing and make presentations in colleges and high schools. EGT: Are you retired from industry? SA: Not at all. I work a regular day as an inventor. Currently my automatic fall-detector, called FallSafe through my company Umelink, is going through a field trial. SA: I just finished a prototype of a fall detector that works failure-free in reporting people’s falls. There are 1 million falls in America every month, and about 45 percent of people who fall cannot press a button, as they have passed out. My system works automatically and produces no false positives or false negatives, which might cause people not to use the system. As the population of elders covered under the Americans With Disabilities Act (ADA) rises from 49 million today to 100 million in 2050, this device will have an exceedingly large market. Here’s a video link: https://www.youtube.com/watch?v=xKCnCNB90QA. I would call this invention another disruptive one. EGT: It sounds like FallSafe is part of a larger vision you have through Umelink. 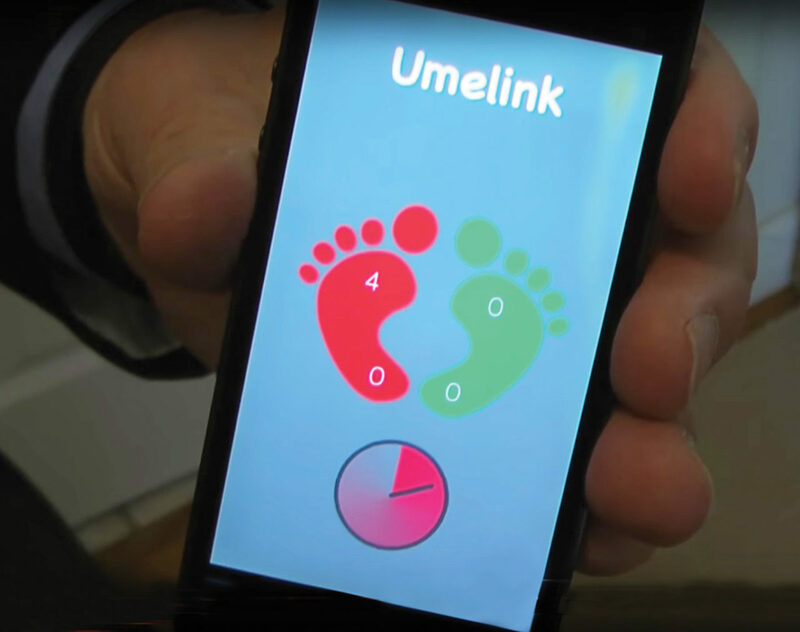 Umelink is an online retailer of specialty goods, devices and systems to enrich seniors’ lives with respect to security (including fraud protection), safety, comfort and knowledge. Our website will be designed specifically to be user-friendly, using the elderly as a consumer focus group. SA: I push every day and pray that we Americans build our nation back again to the top manufacturing position, which is the only and true means to create real wealth. I strongly believe in this culture, which we somehow lost. 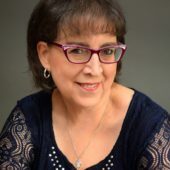 You can find Edith online on her website,Twitter or Facebook.